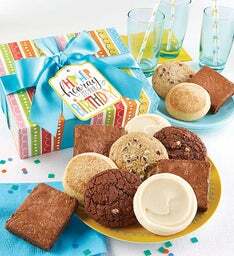 This sweet and salty gift will brighten everyone’s day! 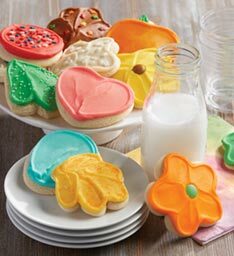 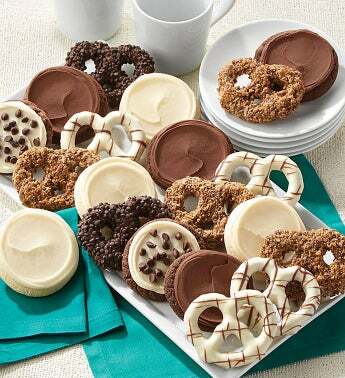 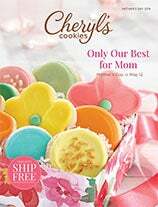 We’ve included a yummy assortment of buttercream frosted classic cut-out cookies along with our very popular triple chocolate and buttercream chip cookies! 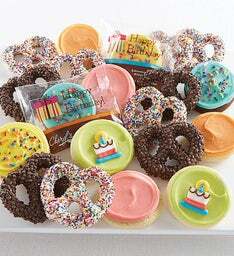 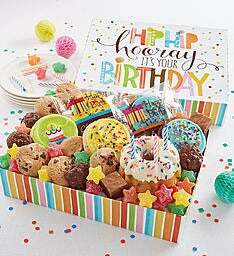 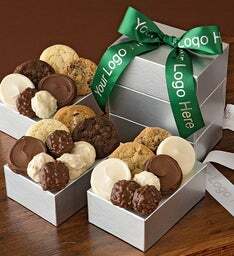 This all-occasion gift is complete with deluxe pretzels dipped in sweet candies.